North Korea is looking for investors in its Mount Kumgang Tourist Zone after a decade of isolation following the fatal shooting of a South Korean tourist at the resort in 2008. Pyongyang's propaganda outlet Maeari issued a statement Thursday that the North Korean government has made the first move by making "full-scale investments" in Mount Kumgang facilities. The regime is searching for outside investors so Pyongyang can pour additional funds into the construction of an amusement park at Mount Kumgang and a resort-based "health recovery center." According to Maeari, North Korea is willing to give foreign investors the "authority" to operate in the country for 10 years, either independently or in a joint venture with a North Korean enterprise. South Korean news service Seoul Pyongyang News reported Thursday North Korean joint ventures are allowed to operate on the condition North Koreans are in complete control of the day-to-day management of business. Other plans include the construction of an outdoor shooting range at Mount Kumgang, indoor archery areas and a billiard room. Public baths, restaurants and an "animal shooting range" are also part of the proposals. "We will earn economic benefits by constructing modern shooting range facilities and earn popularity through new tourist products among both foreign and domestic tourists," North Korea stated. Lim Eul-chul, a North Korea expert at South Korea's Kyungnam University, said North Korea might be investing heavily in Mount Kumgang in expectations of improved relations with the South and the eventual lifting of sanctions, according to SP News. Civic exchange is being encouraged in Seoul. Yonhap reported Thursday the unification ministry has approved travel for South Korean Buddhist monk Chun Dam. The monk is expected to discuss the restoration of a historical temple in the Mount Kumgang region, according to the report. 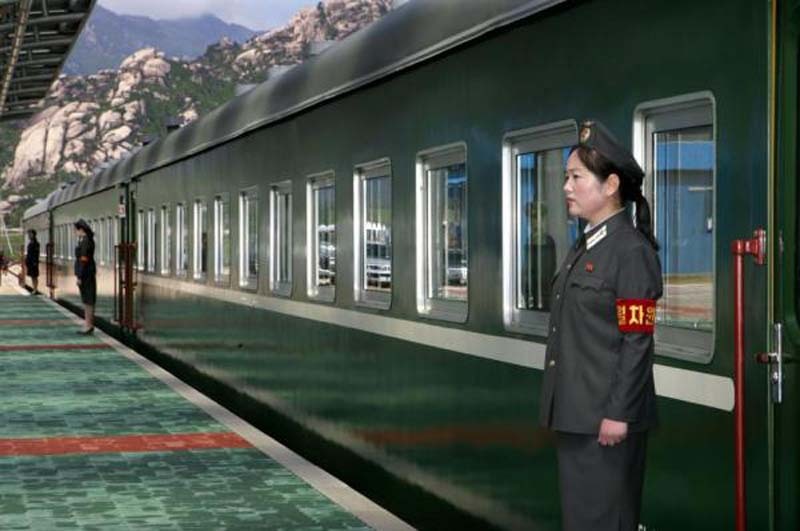 Chun Dam will travel to Pyongyang from Saturday through June 6.